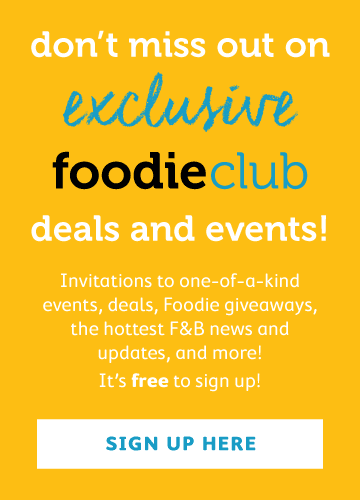 If you’re like us, we’re always looking for new and different brunch options in Hong Kong. From decadent hotel buffets, to the semi-buffets which include a main course, there are a great number of options that can satisfy those hangover blues on a Sunday morning or early afternoon. It’s been just about a year since Rummin’ Tings opened on Hollywood Road, and they’ve been a welcome addition to the SoHo scene. We were excited to head back in to sample their All You Can Jerk Brunch, which launched on December 6th. 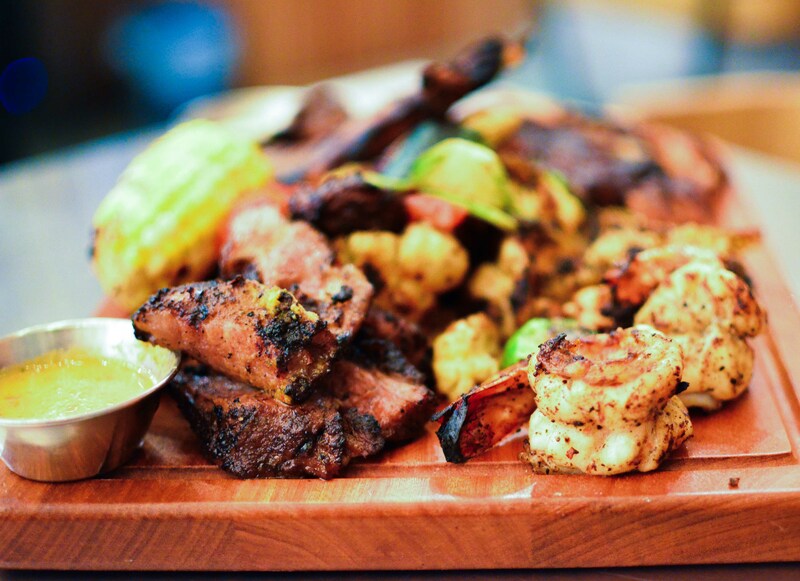 Featuring two hours of all-you-can-eat jerk platters, featuring lamb, pork, chicken, prawns, and veggies, it sounded like a great way to ease into Sunday afternoon after a long night on Saturday. They’ve got two prices for the buffet, and that differentiation lies solely in your choice of beverages. With the $388 option, you get an unlimited amount of Caribbean Pimm’s Punch, beer or wine. If you’re feeling like bubbles, the price jumps to a reasonable $548, and includes the Pimm’s as well. We’re suckers for Pimm’s punch on the whole, and so while we ended up taking the champagne option, the we found the Pimm’s to be fresh, light, and a very nice complement to the spicy jerk meat options. If you haven’t tried Rummin’ Tings jerk offerings before, this is a great way to get in and sample it all. We very much enjoyed the prawns, which were nicely sized, grilled, and quite fresh. Our favourite though is still their chicken, which comes with a spice-rubbed grilled skin. The thigh meat is juicy, tender, and flavourful. We want to warn you that their spicy sauce can be a bit overwhelming, so take it slow there. They’ve also got a creamy mayonnaise-based sauce, which can be sampled to cool things down a bit. 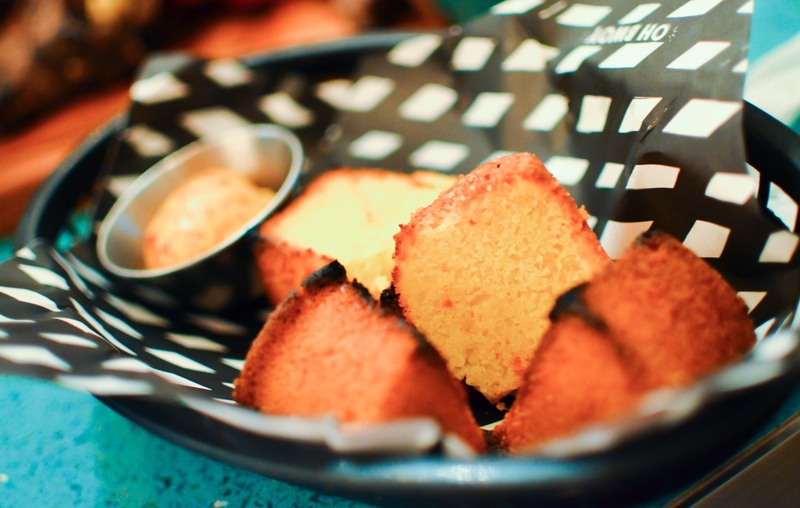 A big thumbs up to the cornbread bites that come alongside your meal. There isn’t much starch on this protein-heavy plate, and this moist, homemade cornbread is a fantastic complement. Don’t forget to slather on that whipped chilli butter for an extra burst of flavour. The grilled corn is also a winner, and is another useful delivery mechanism for more chilli butter. There’s no shortage of meat here with this brunch offering at Rummin’ Tings. For those of you who know people who are on the paleo diet, this seems like a brunch created just for them. 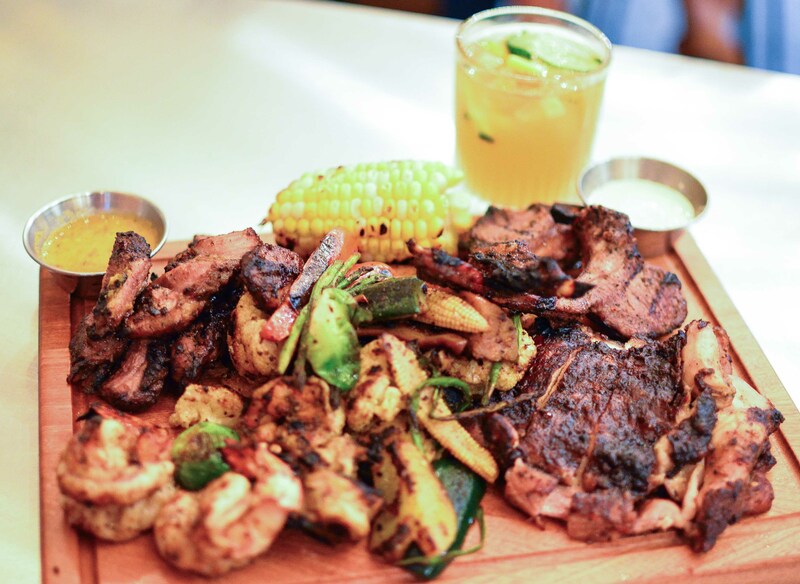 Grilled meat and veggies are just what the caveman ordered. Granted, they’ll have to skip on the Pimm’s punch, champagne, and cornbread, but no one said that you can have it all. We’re not sure how long this brunch menu will be around, but if you haven’t been able to stop in for a meal at Rummin’ Tings, we believe this creates a great reason to do so.